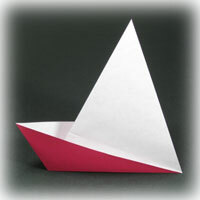 Origami boat is one of the most important category in origami. Traditionally there are many kinds of boats and it is good to learn all of them since they contain very interesting folding techniques. There are also modern boats presented here. 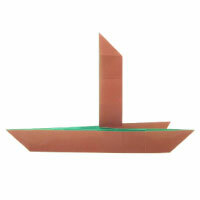 The folding technique that you will learn from this origami catamaran is inside reverse fold. 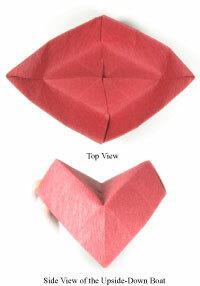 You will apply two inside reverse folds to this model. 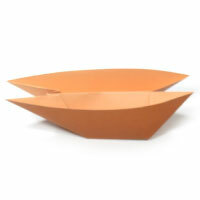 What you will learn from this magic boat is gate-fold and it is very similar to the traditional origami catamaran in the initial sequence of folding. The most interesting feature of this model is that you can perform a magic in front of your friend with this boat. 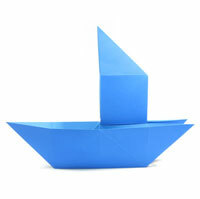 This traditional origami sailboat is one of easiest origami models you could make. You will learn a special folding technique to open a pocket. 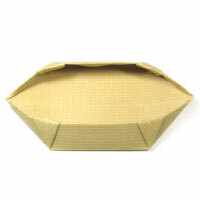 This traditional origami steamboat is very interesting model to work on. This is a good example to learn the folding technique called "squash-fold". 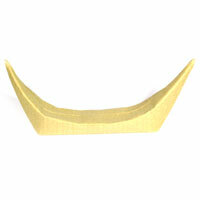 The origami sampan boat showing here has an impressive folding technique called "locking fold". This technique alone can be an exciting learning experience. 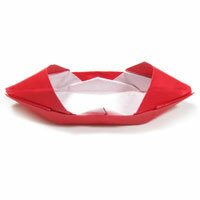 This traditional origami motorboat is similar to the traditional origami sampan boat. Two model share the same folding technique of opening a pocket. However, there is a difference. 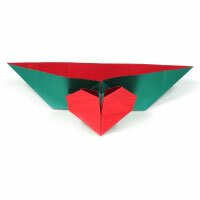 This origami motorboat has two nice decks. The most important technique that you should remember is the "pocket fold" which will be applied twice to make this boat. The most fascinating feature of this boat is that if you apply the "pocket fold" three times (that is, one more time) , then you can make a smaller size (about 2/3) boat with an identical shape of the original boat. 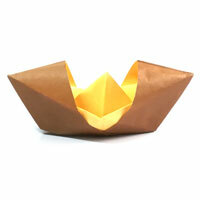 The paper boat with sunshade is an extended version of the traditional paper boat. I remember learning this boat from my father when I was a child. 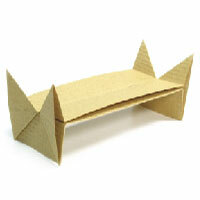 He showed me that the sunshade could be added by applying a pocket-fold one more time to a traditional paper boat. 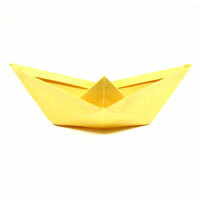 I am sure that you would love to learn this extended version of the paper boat. 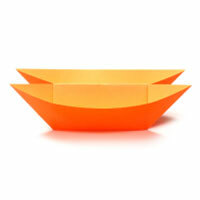 This origami junk boat is a traditional model. 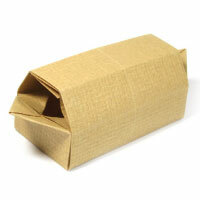 It is advised to use a paper not easily tearable. This means that a typical origami paper is not recommended. 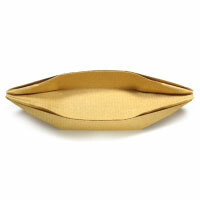 This origami reed boat is fairly easy to fold. The special folding techniques you will learn from this boat is the inside reverse fold and a curved mountain-fold. 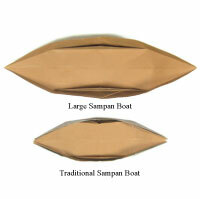 The large sampan boat is based on Fish Base and it is larger than the traditional sampan by about 40%. Inflatable boat requires you to learn both gate-fold and inside reverse fold. Other than that, it is a simple boat to fold with. 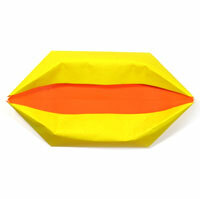 The folding technique that you will learn from this origami catamaran boat is squash-fold. You will need to apply four squash-folds to this model. 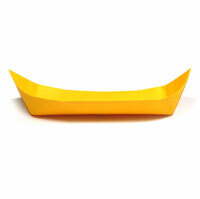 This origami catamaran boat II is a little more complicated compared to a regular catamaran boat since the front side is slander than the back side. 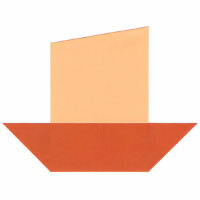 This simple origami catamaran boat is different from the traditional one in folding sequence although the shape is very similar. One special folding technique you will need to know for this model is inside reverse-fold. 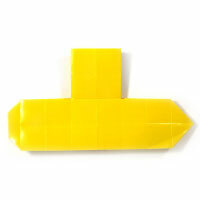 This simple origami Noah's ark is a simple version of origami Noah's ark. There is no special folding technique involved with this model. 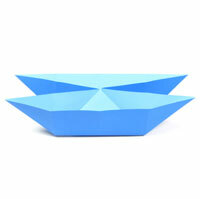 This origami magic boat starts from 8x8 matrix base. 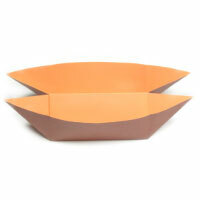 Its function is similar to the traditional magic boat. However, it is a bit skinnier compare to the traditional one. This wide boat simulates a boat with a wide width. 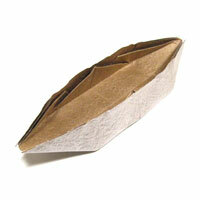 The special folding techniques that you will learn from this boat are inside reverse fold, squash-fold, and petal-fold. 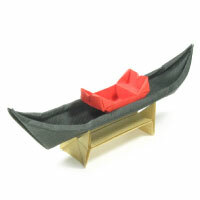 The origami Gondola boat is consist of (1) boat, (2) four chair, and (3) stand. The boat itself is derived from a long canoe. It will take 16 steps to make a boat stand while 31 steps for Gondola chair. 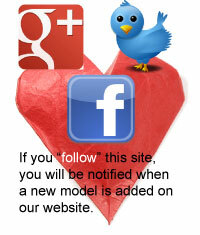 Since you have to go through 21 steps for this instruction, the total steps for making three models will be 68. 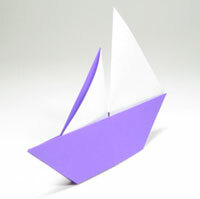 You can use this boat stand for both paper boat and plastic model boat. You will be starting with Z-fold initially. One special folding technique you would learn from this model is inside reverse-fold. 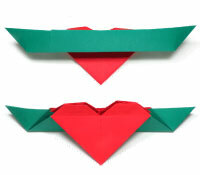 The upside-down side view of the origami heart boat resembles a heart shape. This heart boat starts from 4x4 matrix base. 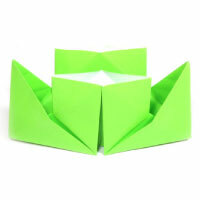 The special folding techniques that you need to learn for this model are squash-fold, inside reverse-fold, open sink-fold, closed-open sink-fold, and open-closed sink-fold. This heart boat starts from 6x6 matrix base. A heart symbol is attached to the outside of this boat. There is no special folding technique involved with this model. The special folding technique is being used for this boat is the inside reverse fold. Excep that, it is fairly easy to fold this long canoe. 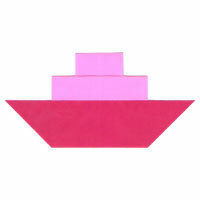 This easy origami submarine starts from 8x8 matrix base. One special folding technique that you will from this model is a modified inside reverse-fold. This new origami sampan boat is easier to fold compared to the traditional sampan boat. 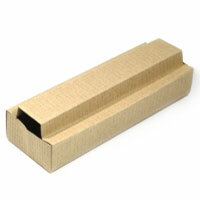 It is free from the special folding technique called "locking fold". I think it is a better looking interior of boat too.